Pair your chair with a helpful little accent by adding this Tête à Tête to your decor. The piece consists of an array of recycled HDPE accent pieces that will fit your needs. 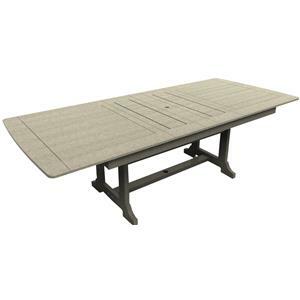 Complete your outdoor eating space with the Napa dining table. 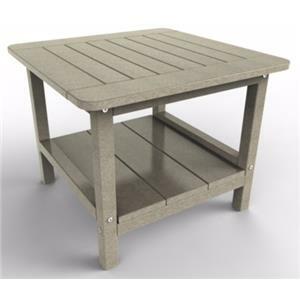 The table features a classic coastal look with a plank style top, and is made of durable recycled plastic. Customize the look by choosing from a variety of finish colors. 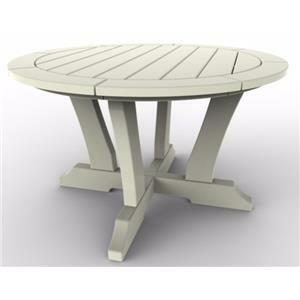 Complete your outdoor eating space with the Napa extension table. The table features a classic coastal look with a plank style top, and is made of durable recycled plastic. Two leaves allow you to extend the table length for extra seating or serving space. Customize the look by choosing from a variety of finish colors. Take in a beautiful summer evening with a loved one on the Yarmouth Double Glider Chair. 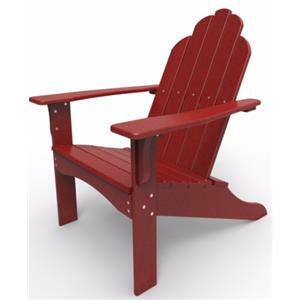 The piece has a classic adirondack look, and offers a glider base so that you can gently rock back and forth and relax. The piece is customizable in a variety of colorful finishes, and made from easy-to-clean and durable recycled plastics. Pair your outdoor seating with the perfect beverage placer by adding this end table to the decor. The piece consists of an array of recycled HDPE and features a lower shelf that's ideal for keeping books, magazines and ipads. Make your outdoor area even cozier with help from this end table. Create a traditional, complete look for your outdoor area with this chair. 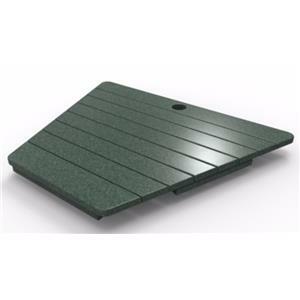 The piece consists of environmentally friendly High Density Polyethylene (HDPE), which is recycled plastic and great for resisting rot, mildew, mold, termites, and decay. 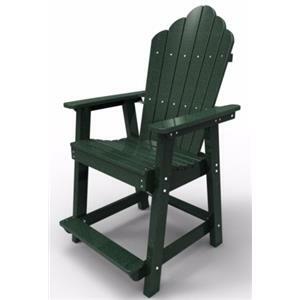 Perfect for patios or on the lawn, this outdoor chair is sure to leave you pleased. Turn your outdoor area into a fun of area as your indoor area with this counter stool. The piece is made from recycled plastic HDPE, a material that will most likely make this the last outdoor chair you'll need. The polywood HDPE lumber uses a resin composition that has the color pigment throughout the wood itself and will not rot, splinter or crack. The stool is also secured with high-quality, marine-grade stainless steel hardware. 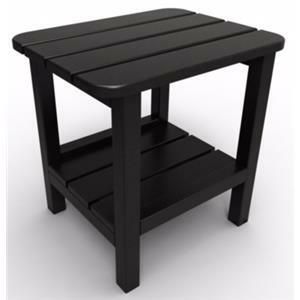 Make your outdoor area complete with help from this stool. Turn your outdoor area into an ideal space with help from this dinner table. The piece is constructed from the highest-grade HDPE recycled plastic and require only mild soap and water for cleaning and will never need to be sanded or painted to maintain their beauty. 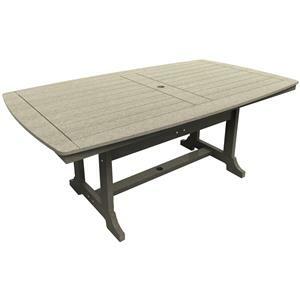 Your outdoor area will be your favorite place to enjoy outside with help from this dining table. Green has always been a traditional color for outdoor furniture - but for Malibu Outdoor Living, "green" furniture takes on a whole different meaning. That is because the company is doing its part for the environment by manufacturing its entire new line of stylish casual furniture out of recycled plastics. 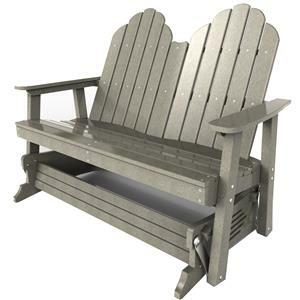 Malibu Outdoor Living is committed to manufacturing the highest quality recycled plastic outdoor furniture products utilizing the finest materials available - and we strive to use green materials on all our products.